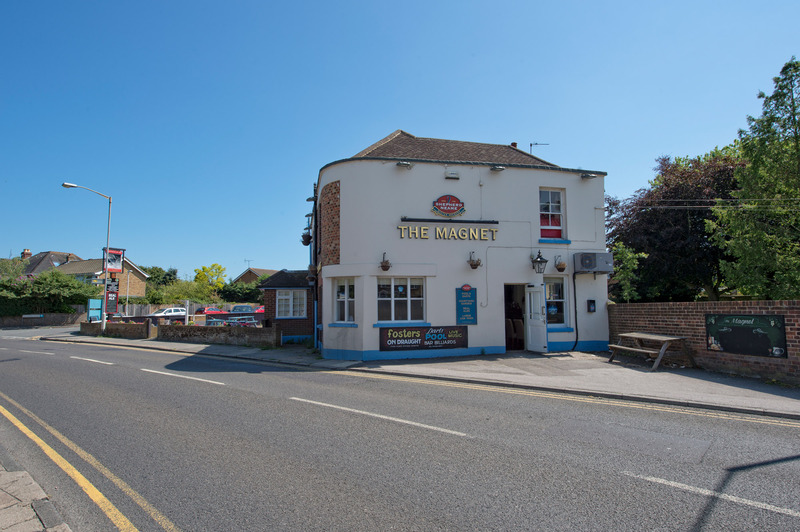 A lively and friendly pub with a great atmosphere, The Magnet has been an established Deal business since the 1700s and a ‘beerhouse’ since 1847. In Victorian times, the family of landlord William Verrier was paid a fee by the parish to keep guard over St Leonard’s Church graveyard behind the pub: almost certainly to thwart body snatchers looking for fresh corpses to sell. Today The Magnet is warm and welcoming and a popular meeting place, just a short walk from the town centre and the beach. The pub has a beer garden and patio and offers darts, bar billiards and pool. Live music is a regular feature. It is also the meeting point for members of Deal and District Motorcycle Club.